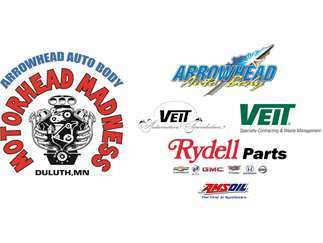 Duluth, Minn. (January 22, 2019) -- The 51st Arrowhead Auto Body Motorhead Madness, presented by VEIT Specialty Contracting & Waste Management and the VEIT Automotive Foundation, will move into the Duluth Entertainment Convention Center (DECC) for TWO days; Saturday, March 23 and Sunday, March 24, 2019. Color and creativity will flow through four of the DECC arenas as more than 100 one-of-a-kind customs, trucks, 4x4s, hot rods, street rods, race cars, cycles, and antique autos are on display. Judges will decide who will go home with thousands of dollars in cash and prizes. Attendees can meet the designers, owners and builders while enjoying the creative car club exhibits and shopping for the latest in automotive trends and accessories. -	Kids age 12 and under can “make and take” their own model car while supplies last. .
-	Line Family Stock & Pro-Stock Racing Display. Meet three generations of automobile racers from the Northland: Lawrence, Maxine, Lance, Ben, Stephanie and Hannah (ages 17 – 72). WHEN:	Saturday, March 23, 2019 - 10 a.m. to 9 p.m.
Sunday, March 24, 2019 - 10 a.m. to 5 p.m. ADMISSION: Tickets will be available at the DECC box office the weekend of the show. Adults $12 / Children ages 6 - 12 $5 / Kids 5 and under free. SPONSORS: AMSOIL, Arrowhead Auto Body, VEIT Specialty Contracting & Waste Management and the VEIT Automotive Foundation. Cost: Tickets will be available at the DECC box office the weekend of the show. Adults $12 / Children ages 6 - 12 $5 / Kids 5 and under free.